PALO ALTO, CA. (Sept. 29, 2017) — Guests at The Clement Palo Alto Hotel can now get a sweet deal when they book one of their luxurious suites through Dec. 15, enjoying extra room, extra comforts and extra amenities. Guests enjoy luxurious accommodations, attentive personalized service and an amazing local dining scene at the 23-suite luxury hotel And now with “A Suite Deal” Package, they can enjoy even more. Our guests enjoy luxurious accommodations, attentive personalized service and an amazing local dining scene when staying at The Clement Hotel. And now when you book one of our luxurious suites through December 15th, you’ll enjoy extra room, extra comforts and extra amenities. This Package includes a $100 Gift Certificate to La Belle Spa, a bottle of wine from one of our featured wineries and Breakfast, Lunch, Dinner, Snacks and Beverages. Offer valid for stays on Friday, Saturday or Sunday prior to December 15th, 2017. Blackout dates include November 24th, 25th and 26th and additional blackout dates may apply. This special offer is based upon availability. Please call (650) 322-7111 to book this special package or email reservations@theclementpaloalto.com. 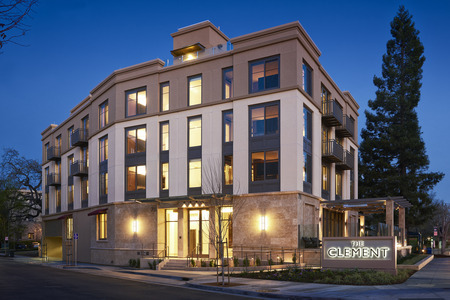 The Clement Palo Alto opened its doors March 2016 and is one of the most innovative, personalized and unique luxury hotels in the country.